Creature design tutorial lovecraft inspired tentacles. 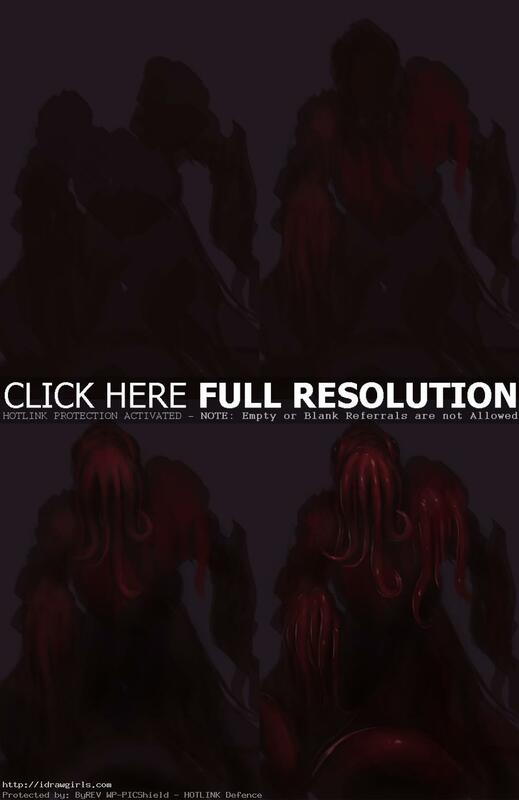 This video shows you how to paint wet skin creature lovecraft style tentacles. How to paint wet and glossy skin on creature. Draw creature design tutorial tentacles slimy thing concept art tutorial. You can scroll down below to see step by step images with instruction. This tutorial shows you how to draw and paint a creature design of a tentacles slimy thing. It was inspired by Lovecraft. In this tutorial I just want to paint some material that is wet and slimy so start with a rough idea of a creepy tentacles lovecraft inspired creature. I first explore with shapes and form. I imagnine an octopus head with big bug’s eyes. Then I design the rest of the body with pretty tentacles. At this stage, I only focus on big shapes, lighting and base to get the overall look and feel of the character first before I can design the detail of textures and materials. You have to first take care of the big shape then rest then refine it later, I will just add the detail like texture and materials using lighting once I figure out the form. I used a lot of magic wand to select the base paint then apply textures. Hopefully this can be really helpful to you all. This time I don’t really have a good idea of what I want to paint so I just use basic lighting. I just let the visual shapes and color guide me as I go.